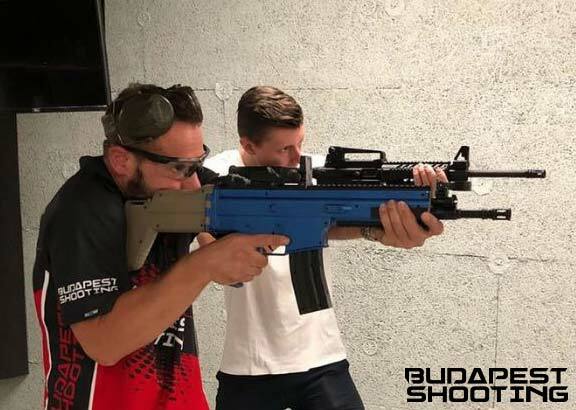 To participate or to reserve any appointments at any of the shooting experience events organized by Budapest Shooting accepting below points are necessary. By reservation our guests accept our General Terms of Service automatically. In case of reservation on behalf of or name in somebody else (too), informing other parties (the reservation is made for) is the responsibility of the reserving person. For reservation, please send us data from our reservation flyer: number of participants, chosen package(s), date & time, reserving person’s phone number, email address. Bookings will become final only after confirmation confirmed by us in writing (email)! 2.1 At reservation giving real personal data is a must. 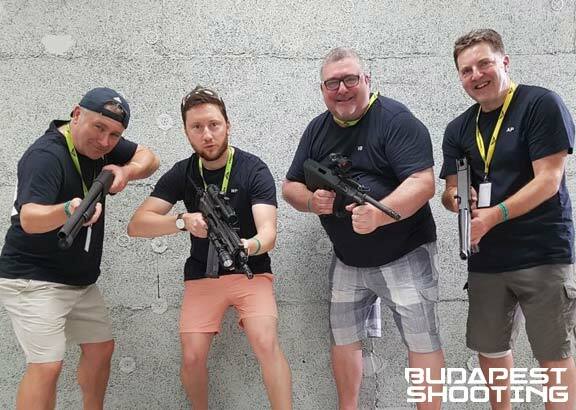 2.2 Reservations can only be modified or cancelled freely in written at the latest 72 hrs before the beginning of valid, confirmed in written event, by sending an email to: info@budapestshooting.eu . Similar to original reservation, neither modifications nor cancellations are valid until receiving our written (email) confirmation. 2.3 Modifications can concern to number of persons attending, to chosen packages, or to time & date of the shooting event. 2.4 Modifications within 72 hrs of beginning of the originally reserved program can not be guaranteed, and we keep the right to not accept the modifications. 2.5 In case of cancellation or no appearance within 72 hrs of the beginning of originally reserved program deposit can not be refunded, we keep it in all issues as a cancellation fee. 2.6 In case of delay over 15 minutes program will be deleted automatically and we keep the deposit as a cancellation fee in all issues. 2.7 We can ask for the reservation number or name in place. 2.8 Budapest Shooting reserves the right of modification of availability of weapons for maintenance or modification. Reserved times and weapons in packages being unavailable can be cancelled or suggest exchange after prior notification. 2.9 These terms are accepted automatically by reserving on phone or in place. 3.1 The price of the experience shooting an be found at the web site of Budapest Shooting, per persons. 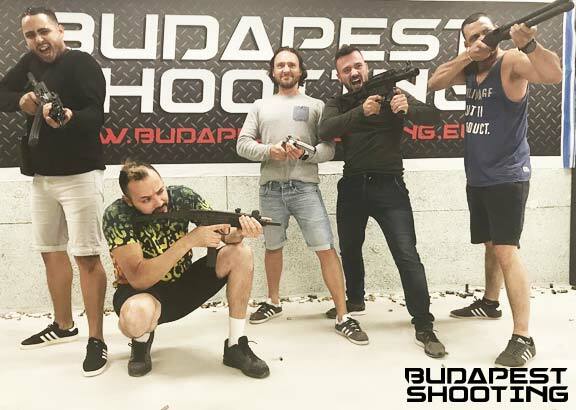 3.2 Booking through the web site of Budapest Shooting or at the shooting range is possible. 3.3 In case of paying deposit, the rest of the amount must be paid in place, before the program starts. 3.4 When booking, we ask for 9000Ft as a deposit ( € 30 ) to be paid online by credit card and at cancellation the very latest 72 hrs before the beginning of the event, can be refundable. We will not debit your card until confirming in written (by email) the event, but finalizing the reservation is not possible without paying this amount of deposit. The rest of the amount must be paid in place before the event/program starts, as per details in the confirmation email. We accept both VISA and Mastercard. In case of paying by credit card we debit the amount either in HUF or in EURO, as per the actual HUF/EUR rate. 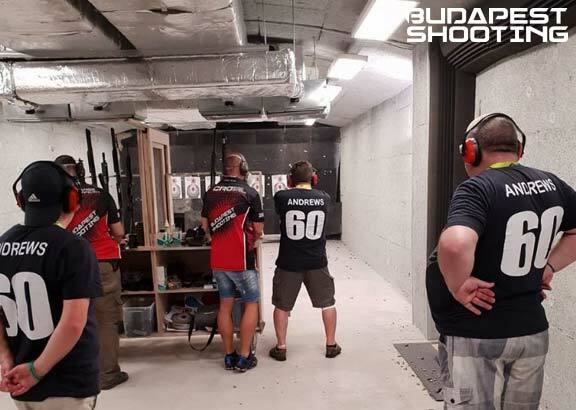 3.5 Our prices are fixed, per persons and packages, including 27% Hungarian VAT and all costs regarding shooting, including but not limited to safety equipment (eye and ear protection), range, equipment, weapon rental, compulsory basic security training, ammunition, targets, continuous shooting supervision. 3.6 We guarantee that our prices will remain the same after our written confirmation, any hidden costs will not raise regarding the confirmed packages. Special requests on top of finalized reservations must be paid in place, their availability is depending on capacity, safety reasons and other factors. 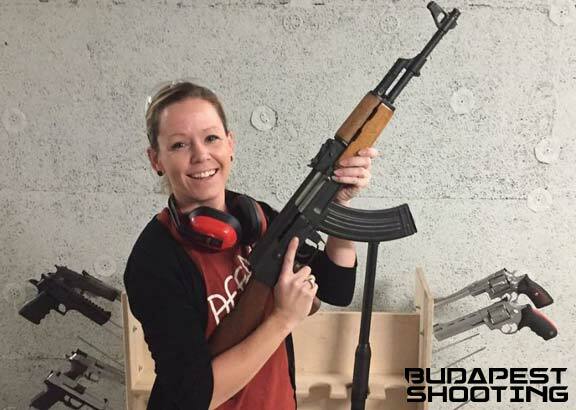 4.1 Budapest Shooting “experience” shooting is at your own risk. 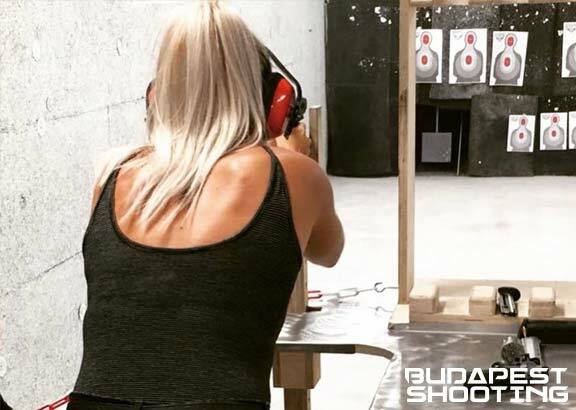 4.2 Budapest Shooting is not responsible for any injuries sustained at the shooting range. 4.3 All members of a group must accept the house rules, cooperate with employees and behave sound and responsible. 4.4 Employees of Budapest Shooting are authorized to may make any injuries caused intentional or ny inappropriate use in place or in any objects paid. 4.5 Persons being under influence of alcohol or any kinds of drugs or behaving inappropriately, may be excluded from the event. 4.6 Smoking is prohibited in the entire area. 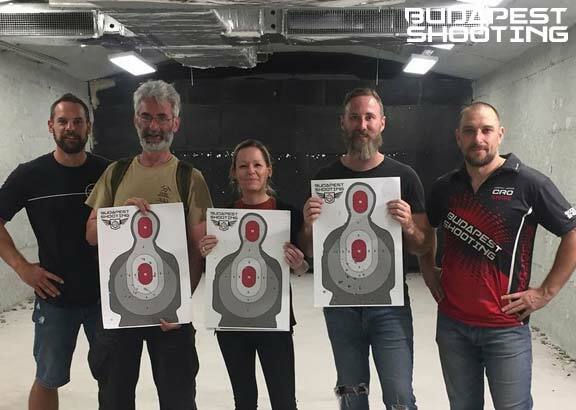 5.1 People over 18 can participate at shooting experience. Based upon legal requirements, all of our guests wishing to attend on any of shootings events, must sign the register book containing important safety and legal statements.